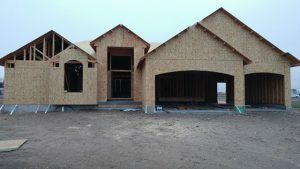 Copper Creek home build. Come take a look at this new construction Grand Rushmore floor plan This home sits in an amazing new subdivision in Mountain Bend Estates. This home features a vaulted grand entrance, a walk in pantry with a hidden pantry door, 6 speaker ceiling stereo system, double vanity in master bathroom, separate shower and soaking tub, triple car garage, granite and tile throughout. It is roughed in with central vac, and central air. It is still early enough to pick your own colors, and finishing touches.